Magic Light Pictures, the Oscar-nominated entertainment company, brings to life another magical world from the UK’s number one picture book duo Julia Donaldson and Axel Scheffler: The Highway Rat airs on BBC One as a festive family highlight this Christmas. 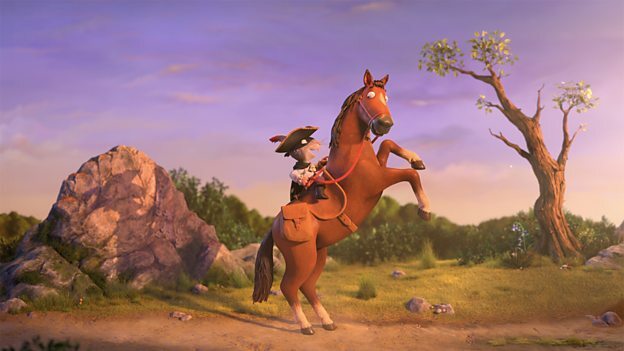 The half hour animated special will be voiced by a stellar cast of British acting talent, featuring David Tennant as the Highway Rat, Rob Brydon as the narrator, Nina Sosanya as the Duck, Tom Hollander as the Squirrel and Frances de le Tour as the Rabbit. First published in 2011, The Highway Rat is about a ravenous rat who craves buns, biscuits and all sweet things. Tearing along the highway, he searches for sugary treats to steal, until his sweet tooth leads him to a sticky end. “Give me your pastries and puddings! Give me your chocolate and cake! For I am the Rat of the Highway, and whatever I want I take.” A swashbuckling tale of bandits and biscuits the whole family will enjoy! The Highway Rat marks the fifth adaptation by Magic Light Pictures of a Donaldson/Scheffler title. The most recent, Stick Man, premiered on BBC One on Christmas Day 2015 to achieve record ratings of 9.3 million viewers, with an overall 41% audience share, the fourth highest rated programme of the day. The film also won critical praise and a raft of global industry awards including the Annecy Crystal and a BAFTA nomination. Previous adaptations have also been showered with awards including two Oscar nominations, a BAFTA, an International Emmy and the Prix Jeunesse.